It is good to see clearly the characters even if you look far. Red ground, not white letters, I think that there is also a black type on the yellow ground. This review is about item#146353. Since the length is 1500 mm, it is good to install it without having to prepare a stepladder etc. I think that it would be nice if there was a curtain with arrows with a smaller letter size. I installed it when I worked in an aerial work vehicle. The price was also worth the price. It is saved when it can be confirmed at a glance that distinction from other Vertices is confirmed at the time of storage (rolled). The price is also cheap in the hanging curtain, delivery is fast, it is recommended in good quality. As it was the expected shape and material, it was relieved to be able to use as intended. I used it without problems. This review is about item#00146353. It is used when performing high altitude work at the site. Because there is work at night, I think that it would be good if there was a material that glows part of letters. This review is about item#00146378. 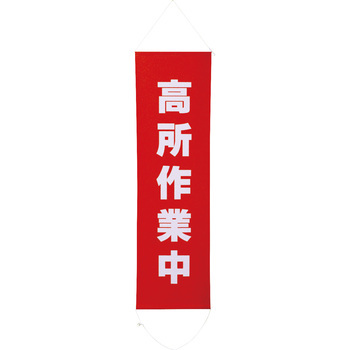 It was very easy to use because the material itself is solid and the strings are easy to read and easy to catch on the top and bottom of the banner.